The Worcester Greenstar 28 CDi compact is small combi boiler designed for homes that don't have a water storage tank or want to remove one to free up space. At 28kW this boiler is suitable for apartments or small homes with only one bathroom. However the CDi compact also comes in 32kW and 36 kW versions for slightly larger requirements. 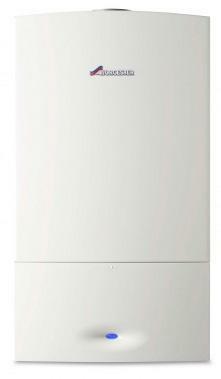 With a SEDBUK 2009 efficiency rating of 92% the 28 CDi Compact is a highly efficient boiler. The flow rate is typical for this size of boiler. The boiler unit measures 69x39x28 cm so will fit inside most standard size kitchen cabinets but you'll need at least 60cm in front for access to service it.